Discussion in 'WIP (Work in Progress)' started by Nineaxis, Oct 3, 2008. And all server owners who have ran this map! Of course vertex edited brushes are blocky, I'm not going to add so many vertexes it might as well be a displacement! I have some func_details... vertex editing screws with vvis pretty darn well. I started typing in "contest", and the forum recommended I put that instead. yeah you got it nice there nine, the only thing i did not like about this beautiful map is..
if you look below(using your image as example.) 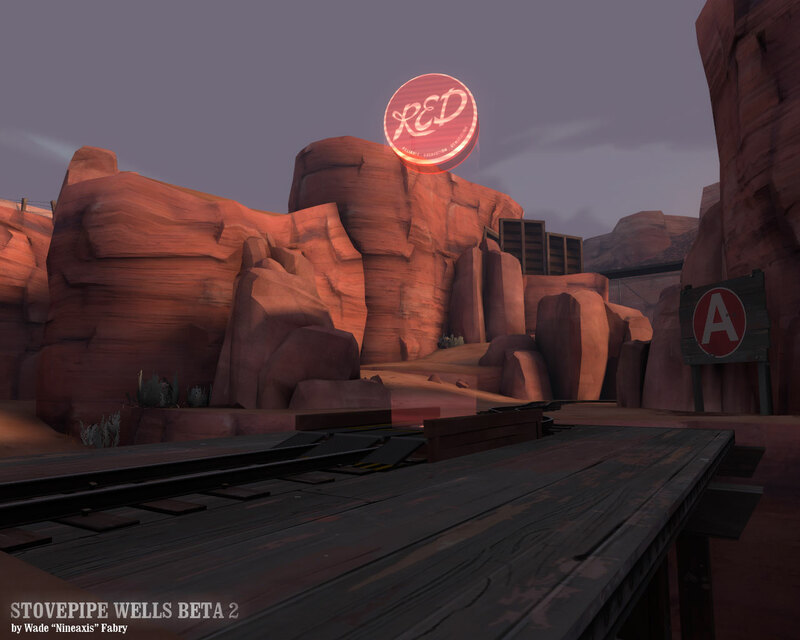 south & south-east(ramp area) of red's spawn it seems very odd to me, there's a secondary spawn there which doesn't seem to work or isnt implemented yet. overall i think final cap needs some layout adjusting. Only suggestion is "wiggle" the track a bit more. 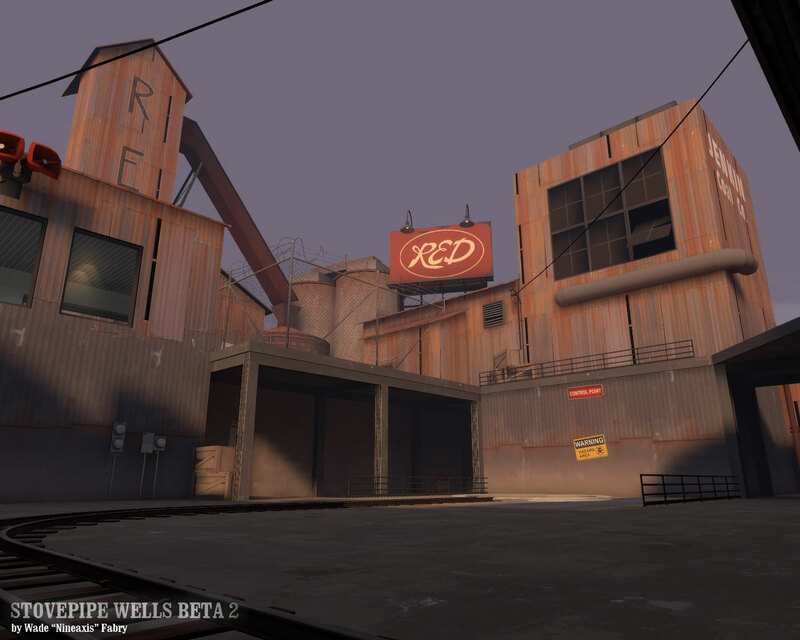 At x you could add a balcony where red can drop down and ambush blu. But blu could obviously jump up and defend it also. I'm not sure how that would mess up your cp placement though. I mentioned it yesterday while playing, but just in case you didn't catch it. 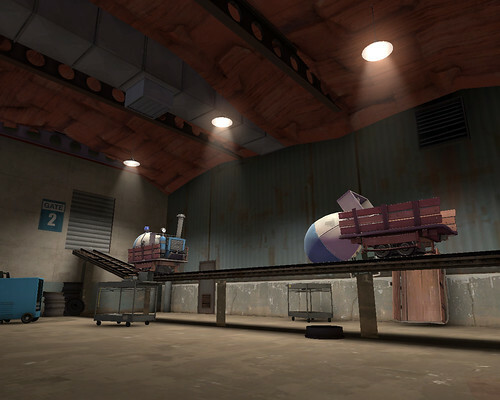 The cart can be stopped by someone standing underneath the bridge, where the first point is. Nine... your detailing skills emerge. Awesome detail room. Yeah, although, I would suggest putting a few wires to the lamps on the ceiling, as it looks like they're sticking out of the rock. 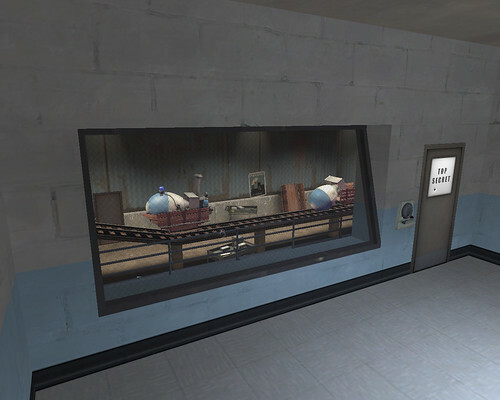 Hey, pretty cool map so far. Couple problems I had were all by that one turn after the first cap point. 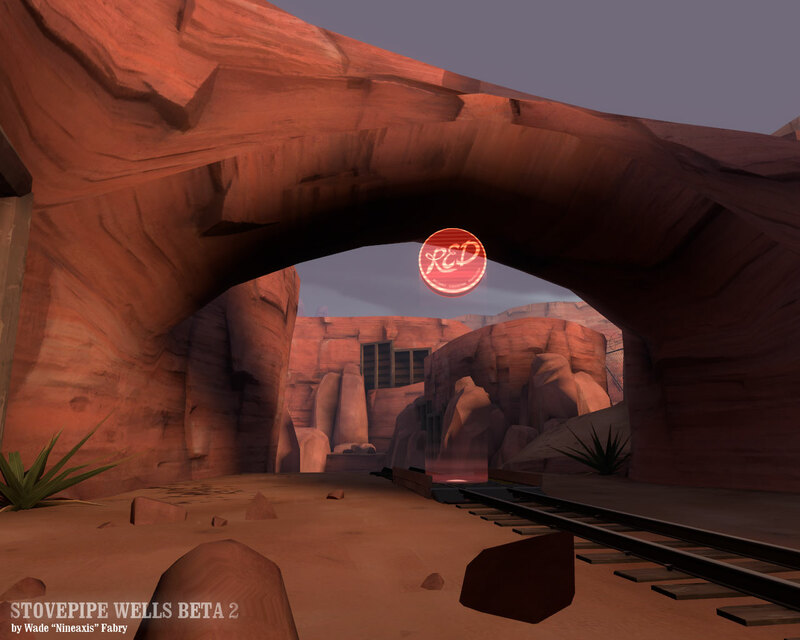 There's a rock that lies right near the tracks. If the cart is turning around the corner you can get stuck between the rock and the cart. I like the turn itself, even though it's a bit of a choke point, because demos are really good there. 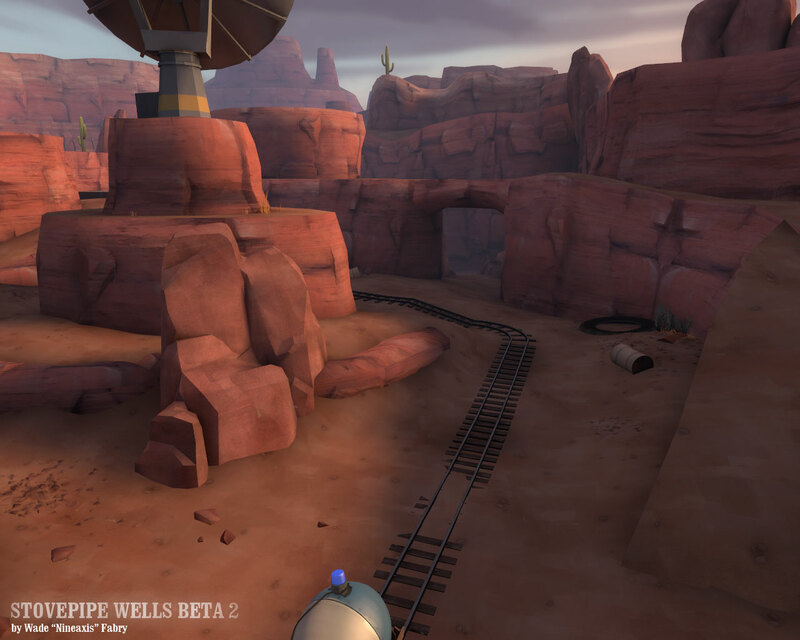 I would suggest maybe making a route unlock for blue after they get the cart to the first cap point which allows them to sneak behind that rock? It should only open from one side so red can't flank. We didn't get all the way to the end in the test, so I can't say what the end of the map is like, but it seems pretty tough. 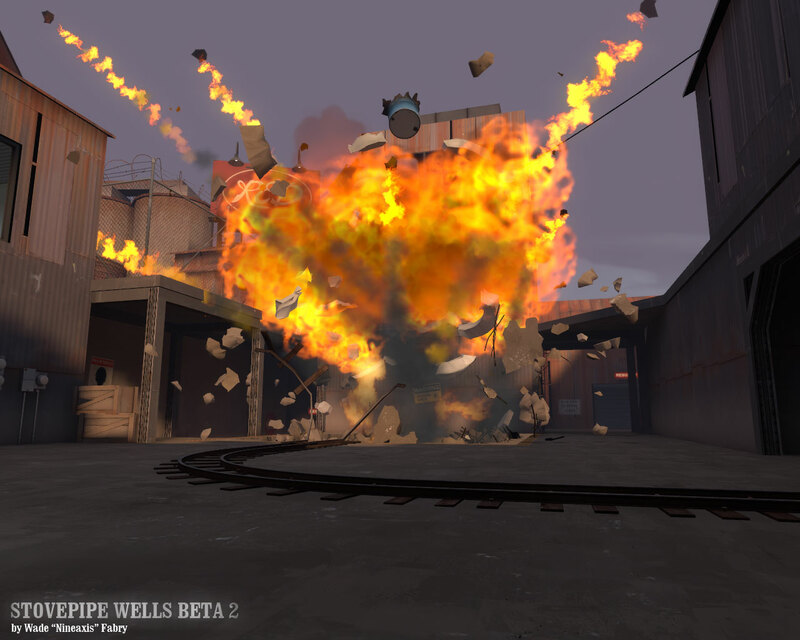 Someone complained about pyros not being that useful, I was playing sniper/demo/spy so I can't say. I didn't notice any imbalances with those classes. 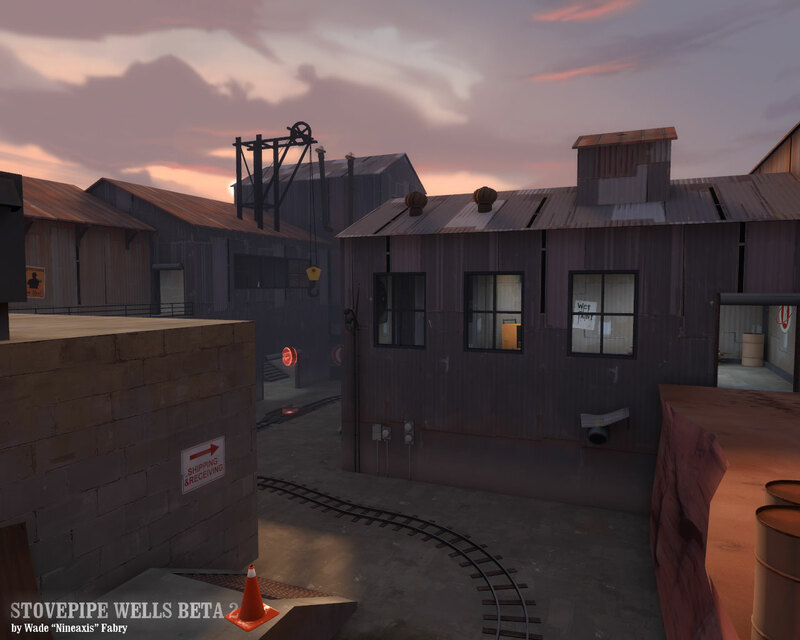 hm.. i might not of been there for the last gameday when this map was put to a real test but in our small tests i didnt notice any advantage of any class over anothher that was just based on the individuals skill i somewhat agree with B being a hardish cap but that's gonna happen.. even in valve maps. BLU forward spawn still too campable by red team. 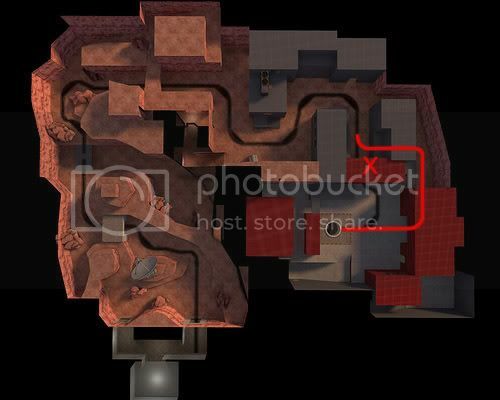 Make the passage to the left of BLU forward spawn (if you're looking directly at the door from the outside) one-way towards RED. Rotate RED spawn locations after shortcut door closes. That's all for now I guess. Keep it up.